A beautiful sunny autumn morning in Hastings – a perfect day to officially snip the ribbon on St Joseph’s School new bike track. 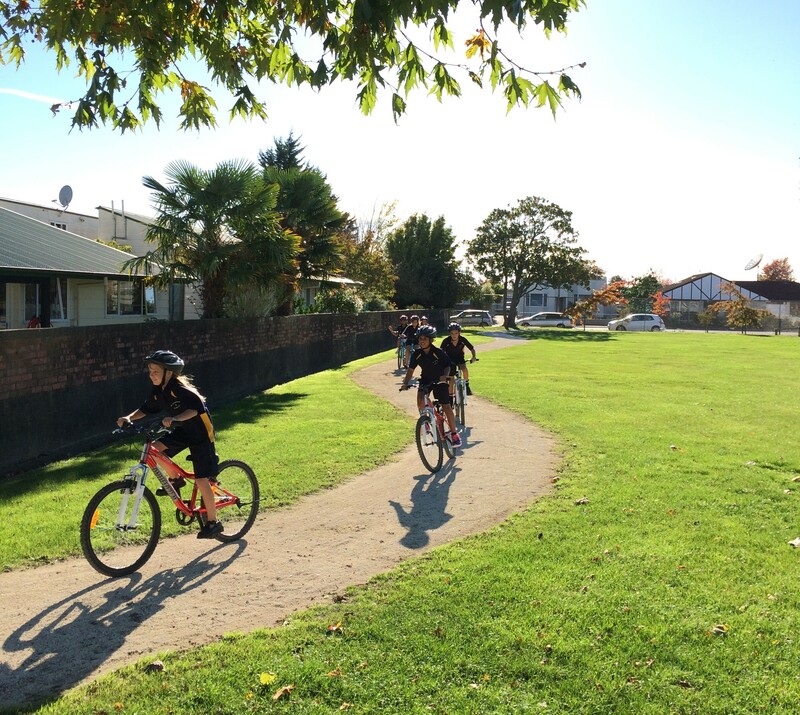 The opening was quickly followed by the St Joseph’s “Bikeathon”, a sponsored ride to raise funds for the school. Room 2 (above) had the honour of eagerly kicking off the event on their new bikes, while the other classes recorded their completed laps (a perfect excuse for many hi-fives as each lap was ticked off), and waited for their own chance to speed round. A huge thank you goes out to Infinity Foundation, First Light Community Trust, Eastern and Central Community Trust, Sanderson Trust and the Bernard Chambers Charitable Trust for funding towards the project. A number of local businesses have also sponsored bikes including Gemco Group, Bramwell Grossman, Hastings City New World, Proactive Management, Tumu Merchants, Horton Plumbing, Supergreene Enterprises, Konica Minolta, Sister of St Joseph of the Sacred Heart and the School’s Family and Friends group. Thanks to all these project supporters – we think the finished track looks fantastic and is going to get a lot of use!